OH GIVE THANKS UNTO THE LORD!!! Psalm 107:1 states “Oh give thanks unto the Lord for he is good for his mercy endureth forever.” In this season of thanksgiving, as we take time to reflect on the goodness and mercies of our God towards us, let us be mindful of those who are yet struggling. Let us become a blessing in the lives of our brothers and sisters who are yet homeless, hungry, depressed and hopeless. May we share the bounty of the Love of Christ towards all mankind, as well as the bounty of blessings which have been poured in our lives. May we take the time to lend a helping hand, feed someone who is hungry, encourage someone who is depressed, and speak words of kindness and hope to the hopeless. If you see someone without a “smile” give them yours! 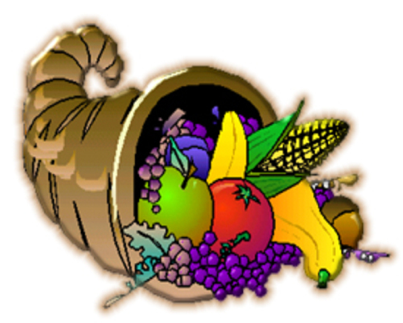 I pray God’s riches blessings on you and your families as we all give thanks unto the Lord. Remember “count your blessings… name them one by one… Count your many blessings and you’ll see what God has done! May the Lord Bless you and Keep you and May the Lord make his face to shine upon you and give you peace.